Vogues Fashion Night Out is always a great excuse for a shop, a cocktail and a blini or two. 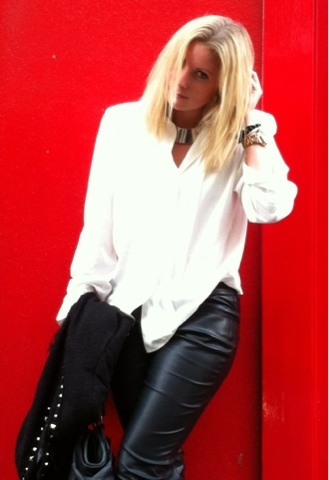 I wore my favourite new leather look trousers from Nelly.com, with Dalmatian print boots and a vintage silk blouse. We spent time at the lovely Aubin and Wills event (follow up soon), Poste Mistress, Butler & Wilson and Topshop. Another great event and evening - thanks FNO!